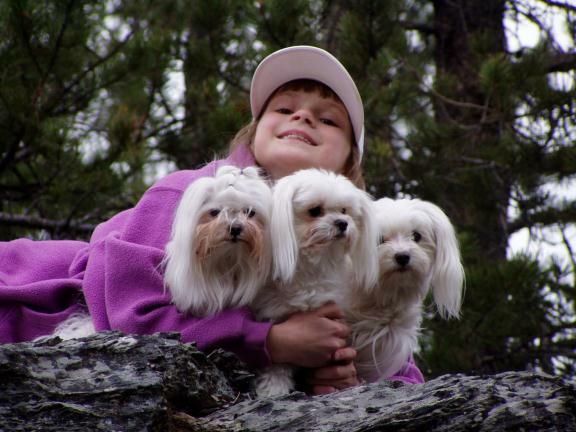 My name is Eileen Bentz and I am the owner of Moriah Maltese. I have been a member of Pacific Rim Maltese Club for over 10 years, holding an office for many of those. I have also been a member of the American Maltese Association for 2 years. 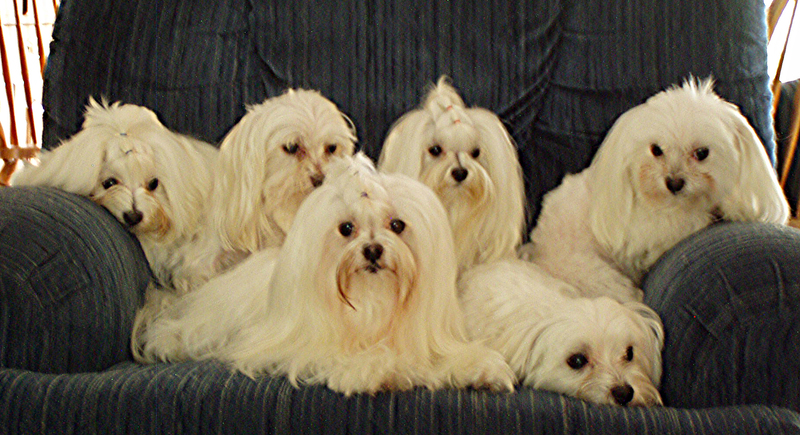 I started in 2000, getting my first Maltese from Peggy Wanner of Kandu Maltese. I bought Julia as a pet after I had seen my first maltese and knew I just had to have one myself. Peggy took me to my first dog show and I was so intrigued I thought ' that looks like fun, can't be too hard!' So into the ring I went. I learned a lot with my first Maltese! I never got her championed, but she produced for me a little girl who did champion. CH Moriah's Classy Reflection of Kandu won her first show at Evergreen Maltese Club Specialty where at 7 1/2 months old won Best in Specialty Show with a 5 point Major! This was quite an honor. The next maltese that I purchased was suppose to be a show dog, she turned out not to be, but again she produced a champion. CH Annie's Song of Moriah. Since then I have really strived to improve what I breed and bring good attributes into my breeding program following the AKC Breed Standard. I only produce a couple of litters a year, enough to be able to have another dog to put in the show ring. It is still a hobby, but one I really enjoy and I get excited whether it's planning my next show dog or championing the one I am currently showing. My daughter has helped me a great deal and did Jr. Handling herself for a while. My biggest thank you though goes to Peggy Wanner for getting me started and cheering me on. She has since passed, but I often times feel her near. When I am not working with my dogs, I am a Registered X-ray Technologist. I work full time at a hospital, so my dogs are my stress release time away from work. 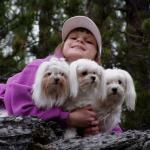 My Maltese have brought a great deal of joy into my life, I couldn't imagine life without them. Sarah with our first Maltese.